Cyber security is extremely important, especially in this day and age, which is why October is recognized as National Cyber Security Awareness Month. Without the proper safeguards in place, your identity and personal data are at risk. Here are some cyber security tips to help raise awareness and protect you from cybercriminals. Cybercriminals are using more advanced tactics to gain information. Attacks are designed based on extensive research of the information you share online. Cybercriminals scour social media for various personal details, from workplace and job titles to friends and activities. They use this information to manipulate unsuspecting victims, a tactic known as social engineering. 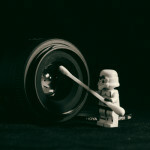 Pay close attention to URLs. As mentioned, criminals are using smarter approaches. They use branded emails with logos and fonts that look like legitimate retailers to get you to click on malicious links. To safeguard against these scams and avoid being redirected to a fake site, always type the retailer’s address into your browser. And always make sure the site begins with https:// (as opposed to http://). The “s” stands for secure and makes a big difference in your online safety. Whenever you enter your credit or debit card details into an online form, you are susceptible to interception from cyber criminals. Dodge these risks by setting up a dedicated online shopping account with strict credit and overdraft limits, and with only enough money to buy what you need. Trust your instinct. If it seems suspicious, don’t use it. Make sure you are keeping track of the retailers you are expecting shipments from. If you receive an email that contains tracking information from a courier service or retailer you have not used, do not open it. It will likely contain a tracking URL which is a malicious link in disguise. And the same goes for attachments as these could contain malicious code. To err on the safe side, manually type the courier service website into your browser. If you think you may have fallen victim to cyber crime, act fast! 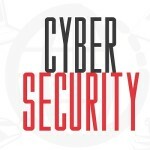 Many cases go unreported every year, lending to the success rate of these cyber crimes. By reporting it to police, you can aid cyber criminal investigations help to shut down these operations for good. As soon as you notice unusual account behavior or suspect something may be wrong, contact your bank and have your card cancelled immediately. In some cases, depending on the circumstance, you may be able to reverse the fraudulent charges and recover your money. The business you thought you were buying from would benefit from knowing they are being impersonated online as you may not be the only victim. The business has the resources to track down the perpetrators and is likely familiar with the processes of getting suspicious websites blacklisted or shut down. Ransomware attacks usually involve locking you out of your PC and asking for a ransom (in untraceable currencies like Bitcoin) to regain control. If you give in and pay the ransom, you will be identified as a soft target and they will be back. Do you have any cyber security tips to share? Connect with us on Facebook, Google+, Twitter, LinkedIn, and Pinterest. 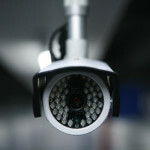 For your security cameras and CCTV video surveillance needs, please visit SecurityCamExpert.com today! Call 888-203-6294 to request a free quote or schedule a site survey. In case you hadn’t heard, the 2019 National Defense Authorization Act was recently signed into law. The whole process began in May of this year, when the US house passed the bill, and then on August 1st the Senate passed the bill. Several days later, the President made it official by signing it into law on August 13, 2018. The 2019 NDAA has a particular impact on the security industry as it bans both the purchase and use of Dahua and Hikvision and their OEMs in the US government and US government-funded contracts. 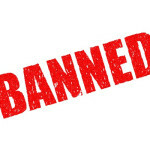 Although the Dahua and Hikvision ban will begin on August 13, 2019, the effects of this act are already being felt by Dahua and Hikvision. Stocks for both companies have dropped noticeably since the passing of the NDAA and we can expect further decline. 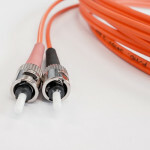 Despite the delayed enforcement, there is no sense in purchasing and using equipment now that will soon be phased out. Extending the ban to OEMs will eventually trickle down and impact wholesale distributors. Buyers will be concerned with potential security risks, possible issues with prospective integration with public or government systems, and future legislation at the state or local level. In addition, this will impact consumers outside of the US, as negative media coverage may make them feel wary of the security and dependability of Dahua and Hikvision products. Only time will tell what the true implications of the 2019 NDAA will be. Share your thoughts on the ban with us on Facebook, Google+, Twitter, LinkedIn, and Pinterest. Visit SecurityCamExpert.com to browse our extensive selection of quality security cameras, CCTV surveillance packages and security equipment for your home or business. If you have any questions or would like a free quote, please feel free to contact us 888-203-6294. Video surveillance can be an excellent security measure in various environments. While retail stores and remote ATMs are commonplace locations for video surveillance, its benefits can also be seen when applied to a wide range of businesses and homes. Here are a few examples of these video surveillance benefits and why you should consider investing in it (if you don’t already). 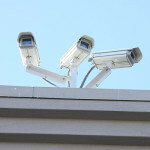 A major selling point for video surveillance is their effectiveness as a crime prevention tool. 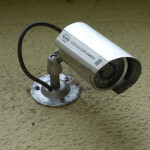 The mere presence of these cameras can discourage criminals from trespassing, vandalizing, and stealing your property. By installing surveillance cameras in parking garages or remote parking facilities, rear or side building entrances, and other dimly lit areas, you can increase employee safety and security. Not only does this protect your property, business, and employees, but it also shows employees that you care and value them. Your video surveillance cameras can even deter frivolous lawsuits (and save you money). For example, let’s say a person claims to have injured themselves on your property and threatens a lawsuit. Without video evidence it’s your word against theirs. However, proper video surveillance footage provides concrete evidence of the incident. Often times, insurance companies offer discounts for home or business owners who have video surveillance cameras installed. 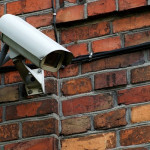 These discounts can potentially offset the costs of your surveillance system. A watchful eye can help to keep your employees on track. 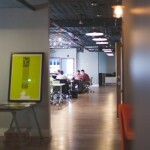 Employees are much more likely to stay on task when they are being monitored. Security cameras placed around the building, at loading docks and auto dealer service bays have been proven effective for improving productivity. In addition, employees are less likely to take off with company property when cameras are monitoring exit points. Remote monitoring is a common and popular security feature, which will enables surveillance around the clock, even after your and staff have gone home. You can utilize this on its own or you may supplement your staff and guards. Share your own video surveillance benefits with us and your peers on Facebook, Google+, Twitter, LinkedIn, and Pinterest! For a great selection of CCTV video surveillance packages, security cameras, and other security solutions, please visit SecurityCamExpert.com. To schedule a site survey, request a free quote, or inquire about our installation services, please call us 888-203-6294.